Tim Brummer (right) delivers a brand new Lightning Phantom II to Greg Raven on the Other Side. 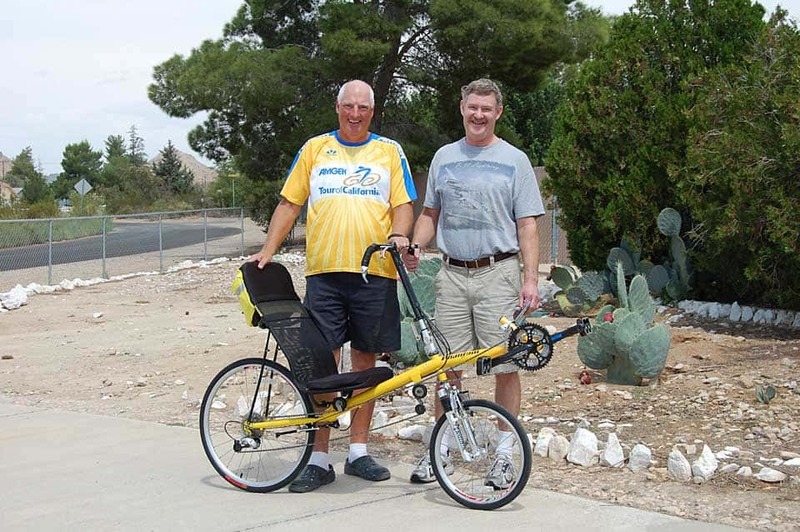 This bicycle is specifically designed to help people like Greg get over there. Tim is the owner, designer, and all-around driving force behind Lightning Cycling Dynamics. 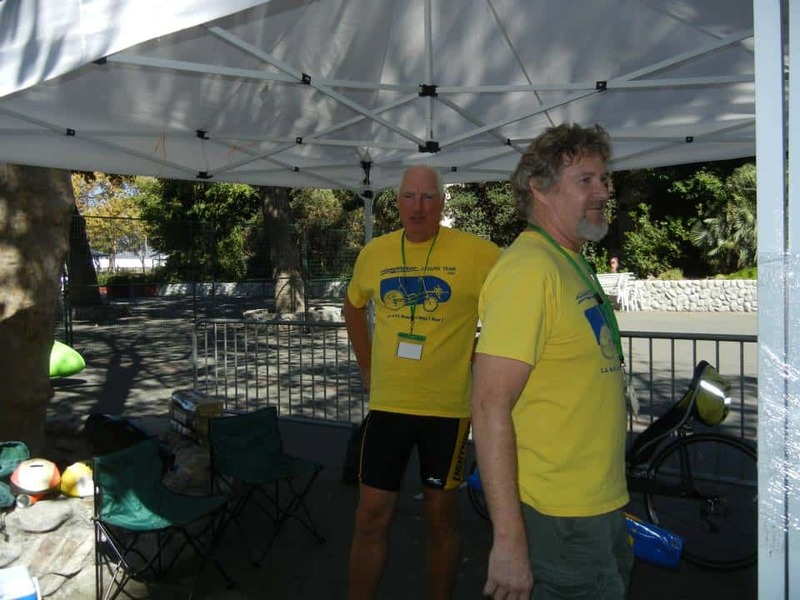 With Tim Brummer at Recumbent Cycle-Con 2013. 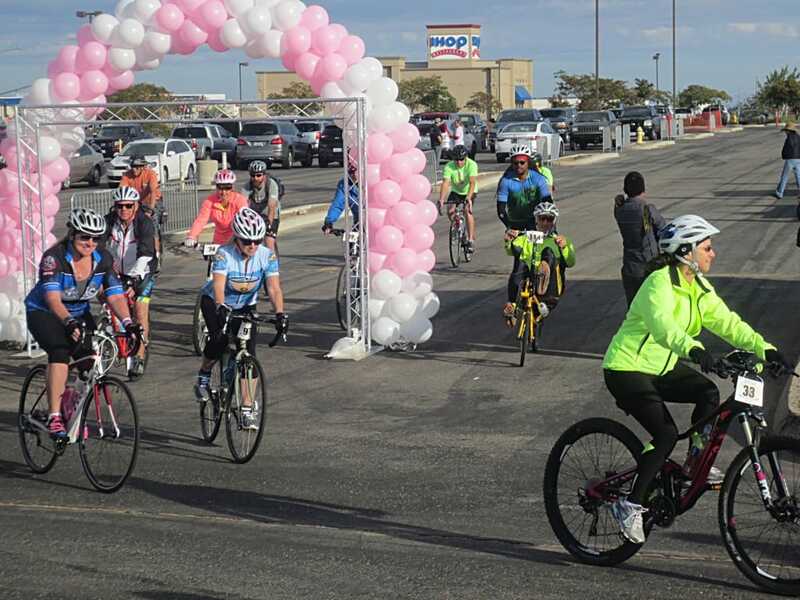 Riding in the 2016 Victor Valley Bicycle Tour.